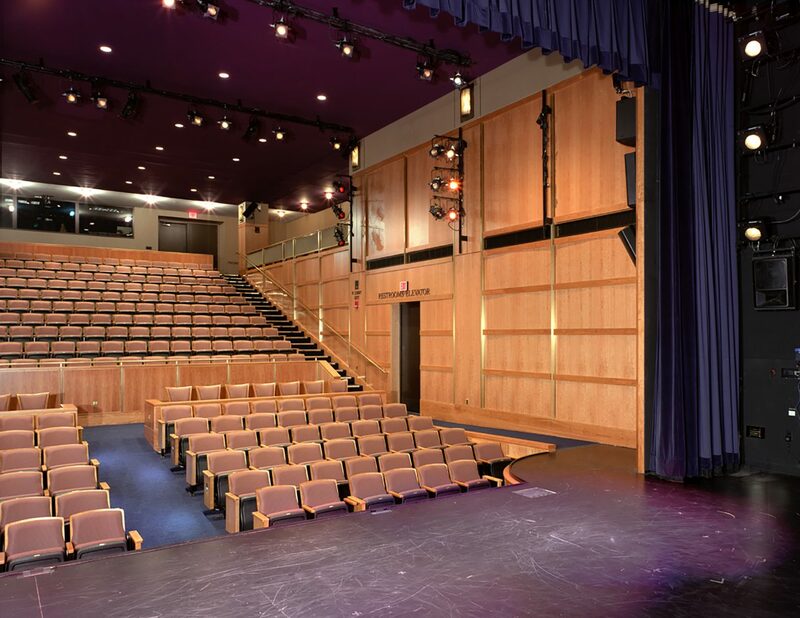 JMT’s architects designed the first new performance venue in 25 years for the Kennedy Center in Washington, DC, the nation’s premier performing art center. 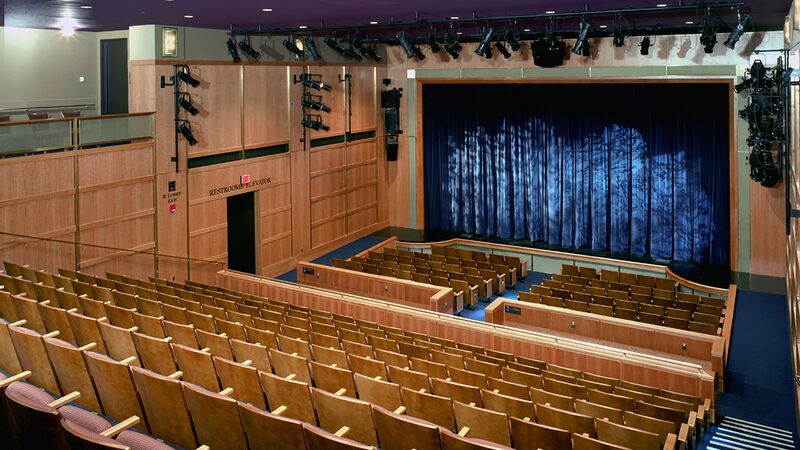 The project required renovation and expansion of the former AFI film theater to a new 320-seat theater. The theater is designed as a multi-purpose hall to accommodate drama, dance, music performances, films and lectures for young audiences. The theater is intimate and warm, rendered in wood, metals with saturated colors on par with the Center’s other performance venues. 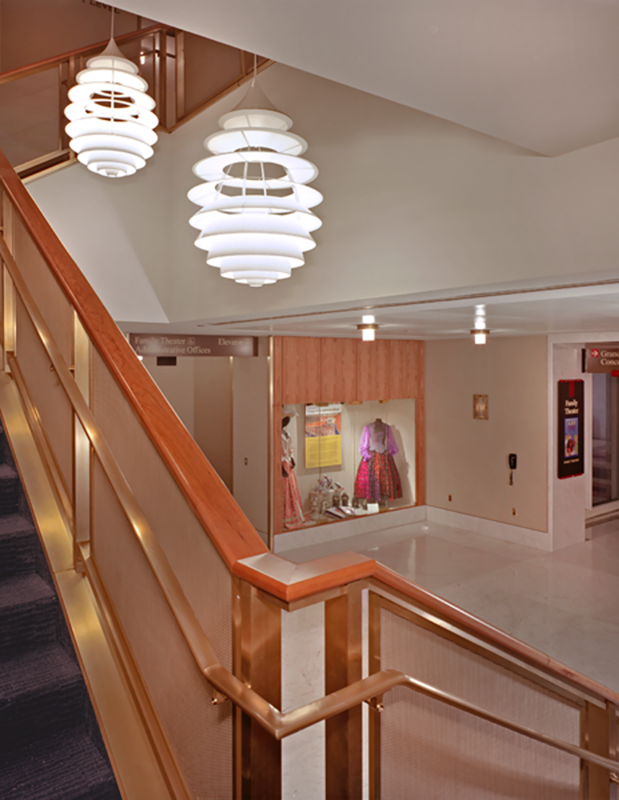 The design also included new lobbies, public restrooms, wing space, scenery loading, dressing rooms and office space. 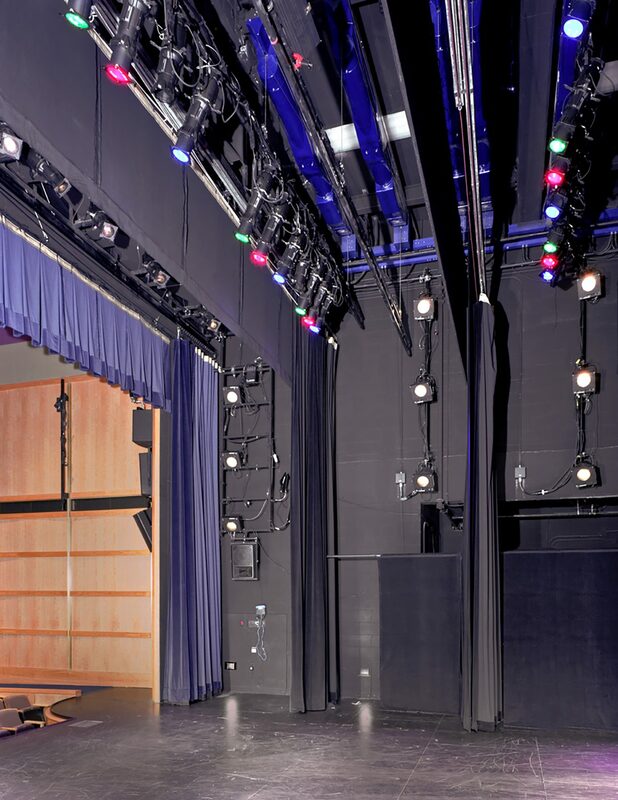 New MEP systems were carefully threaded through perimeter wall cavities to maximize the theater’s size and height within a tightly defined envelope.